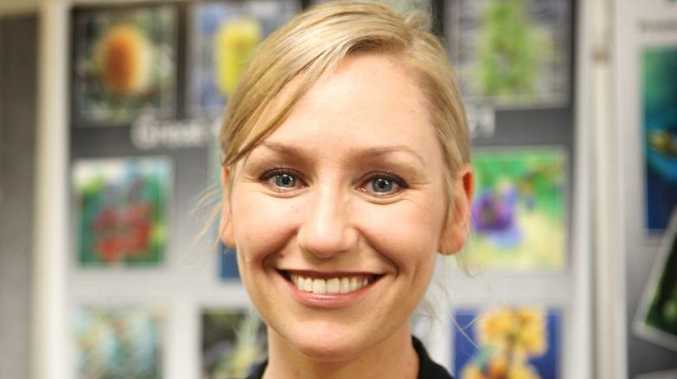 GREENS Senator Larissa Waters has written to her political rival Barnaby Joyce calling on him to support a bill that would give landholders the right to stop coal seam gas companies from operating on their land. The Parliament is expected to begin debating a bill next week that would amend the Environment Protection and Biodiversity Act to add a water trigger for federal intervention on CSG and large coal development approvals. But Senator Waters wants the new law to go one step further and allow landholders to lock the gate on CSG mining. Under her amendment the federal environment minister could not approve CSG or coal projects unless he or she was satisfied the landowner had given free and informed consent to allow the mining. Senator Waters stressed minerals would still belong to the people under her amendment. "The state will continue to own minerals, however this amendment would give landholders the right to protect their land from the uncertainty of long-term impacts on water resources should they decide the risks are simply too great," Senator Waters wrote. "If governments want to extract the resource, they can still use their acquisition powers to buy out the landholder, so the amendment would not prevent development of these resources at all costs - but it does lift the bar to better protect our agricultural communities." Senator Waters was also motivated to write to Senator Joyce after Opposition Leader Tony Abbott told Alan Jones last week mining companies should not operate on land where they are not wanted. It was a statement he repeated in Tamworth on Friday, although he qualified it by adding the issue of protecting landholders' rights was a state responsibility. "The important thing is to ensure that the farmers get a fair deal from the miners and my own conviction is that it shouldn't be the case that miners waltz onto farmers' land without the farmers' permission," Mr Abbott said. "Now, in the end, much of this is a matter for the state governments, but certainly we've worked with the New South Wales and the Queensland Coalition governments and there are now much more sensible rules in place over coal seam gas extraction than there were when these states were being mismanaged by the Labor Party." Senator Waters said she had written to Senator Joyce to not only secure support for her bill, but to clear up the Coalition's position on the issue. She said the bill would give the Coalition an opportunity to enshrine its "regular rhetoric" on landholders' rights in law. "Tony Abbott is telling rural communities he thinks farmers should be able to stop mining companies from using their land but he's not doing anything about it in Canberra," Senator Waters told APN Newsdesk. "We're giving Tony Abbott's water spokesperson Senator Joyce the opportunity to come clean on where the Coalition stands so that rural communities know whether Tony Abbott is trying to pull the wool over their eyes before the election." But during his weekly debate with Senator Water on Fairfax Media, Senator Joyce gave every indication the Coalition had no intention of supporting the bill. "Unfortunately for the Greens they don't support any form of mining," Senator Joyce said. "I'll send a letter back to Larissa asking her what mines in Australia she actually supports, and which ones she desires to expand, and if not, how could she possibly pay for any of her promises, such as the NDIS." Research body: Spend on roads for Asian "dining boom"